Every who down in Whoville liked Christmas a lot! But the Grinch, who lived just north of Whoville did not! 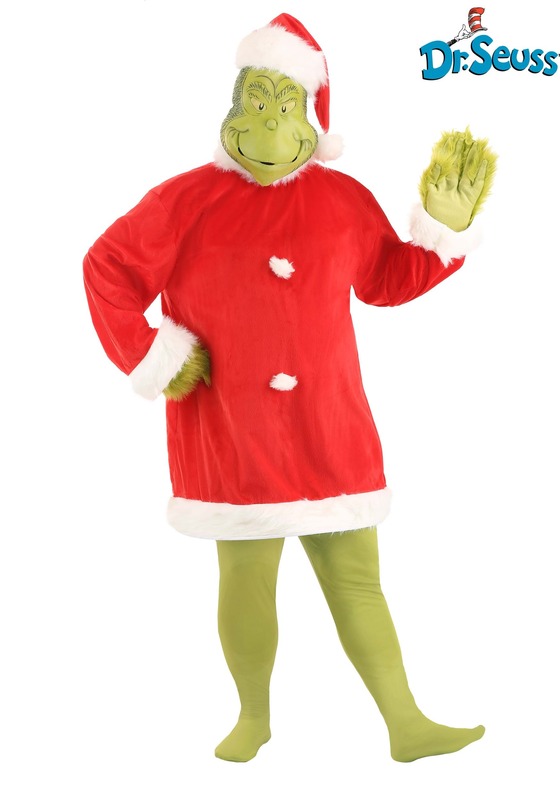 Can a Grinch survive with shoes that are too tight? Or a head that just isn't screwed on right? Or if his heart was two sized to small? Why yes he can. In Dr. Seuss a creature can survive just about anything. The Grinch can live off of eating glass, he has lived 53 years with his grinchly attitude about the Whos. It's easy to remember dad sitting by the Christmas tree, his face lit with multicolored lights, book in hand, scent of evergreen (or plastic) in the air. It's easy to remember being snuggled up against him as he read the rhymes, and grumbled the Grinch. He sang the Welcome Christmas song (even though it wasn’t in the book). His low voice singing "Fah who For-aze, Dah who dor-aze, Welcome Christmas, Come this way!" This Christmas, your children can have the same kind of love for the Grinch that your father gave to you. Put on this Plus Size Grinch Costume, and pull out the book that your father read to you. 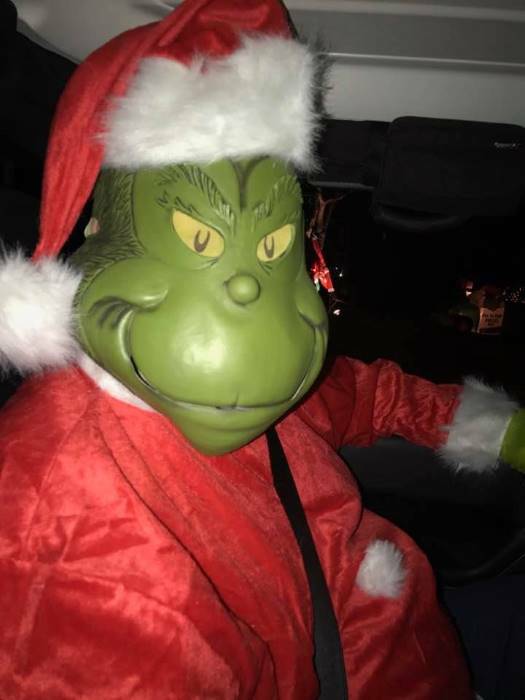 You will see their eyes light up as you come in dressed as the Grinch. And they will be even more excited when you do the voices that your dad showed you how to do. You will be proof that a Grinch can survive with a head that isn't screwed on quite right. And, you'll realize that you can indeed survive when your heart grows three times it's normal size looking at your very own Whos from Whoville. Nice costume. Would have given 5 stars but the gloves arrived mis-matched and one is too small to get my hand into. I contacted HalloweenCostumes.com and they were out of stock so no luck on a replacement but they did offer a partial refund which was great since the mis-match was a manufacturers problem. We had a blast driving around looking at Christmas lights one night in costume and also on the Fire Truck while taking Santa around the neighborhoods.